Gianni Infantino has been elected as the ninth president of world soccer’s governing body FIFA. The UEFA secretary general polled 115 votes, 27 more than closest rival Sheikh Salman bin Ebrahim al-Khalifa. Prince Ali bin al-Hussein (4 votes) and Jerome Champagne (0) were third and fourth respectively. Sepp Blatter, who had led FIFA since 1998, stood down last year and was later suspended from football for six years for breaching ethics guidelines. 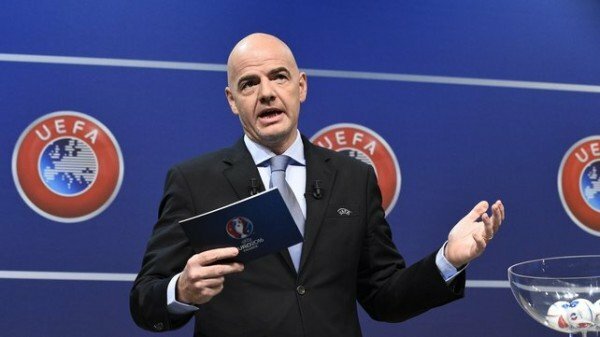 Gianni Infantino is a 45-year-old lawyer from Brig in the Valais region of Switzerland, less than six miles from Sepp Blatter’s home town of Visp. He entered the presidential race when it became clear that UEFA President Michael Platini could not stand. “I will work tirelessly to bring football back to FIFA and FIFA back to football,” Gianni Infantino said. He added: “I feel a lot of emotion and have not realized yet what has happened today. The election was due to be fought between five candidates, but South African Tokyo Sexwale withdrew before voting began in Zurich. The first round of voting failed to determine an outright winner, though Gianni Infantino led with 88, three more than pre-vote favorite Sheikh Salman. A simple majority of more than 50% – 104 of 207 available votes – was sufficient for victory in round two. An emotional Gianni Infantino told delegates that together they would “restore the image of FIFA and the respect of FIFA”. He added: “I want to work with all of you together in order to restore and rebuild a new era of FIFA where we can put again football at the centre of the stage. “FIFA has gone through sad times, moments of crisis, but those times are over. We need to implement the reform and implement good governance and transparency. We also need to have respect. To help the new president tackle the crisis that has enveloped FIFA, key reforms were passed to help make it a more transparent and accountable organization. All salaries of FIFA officials will be disclosed, while a limit of four years has been placed on a president’s term. A new council to replace the current executive committee has also been introduced, featuring a female representative from each confederation.